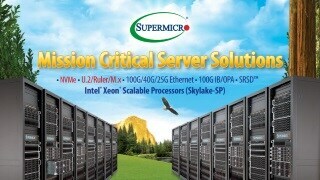 WIO Server Solutions | Super Micro Computer, Inc.
Supermicro WIO SuperServer® systems offer a wide range of I/O options to deliver truly optimized systems for specific requirements. Users can optimize the storage and networking alternatives to accelerate performance, increase efficiency and find the perfect fit for their applications. 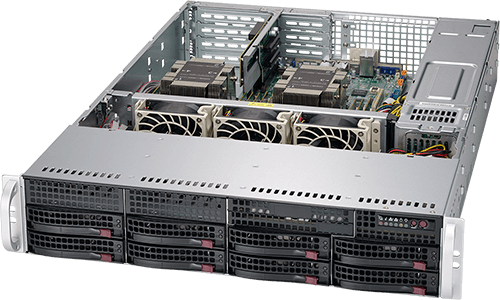 In addition to enabling customizable configurations and optimization for multiple application requirements, Supermicro WIO SuperServers also provide attractive cost advantages and investment protection. 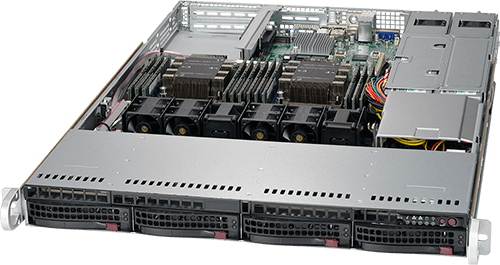 The Supermicro WIO SuperServer® product family supports up to: 3TB DDR4-2933MHz ECC memory in 12 DIMM slots with support for Intel(r) Optane(tm) DC Persistent Memory, 3/6 Add-on Cards in 1U/2U, 12 SATA 3.0 (6Gbps) ports with Intel® C620 controller, hot-swap 2.5" or 3.5" drive bays, SATA3 and NVMe hybrid ports, optional NVMe drives, LAN options up to 2x 10GBase-T or 2x 1GbE ports, redundant Titanium Level (96%) power supplies, integrated IPMI 2.0 with KVM over dedicated LAN, and dual or single 2nd generation Intel® Xeon® Scalable processors up to 28 cores and 205W TDP. Supermicro WIO SuperServers are optimized for General Purpose, ERP/MRP, and Network and Security Appliance Applications and used as Firewall, Mail and VPN servers. WIO, Flexible I/O, UP • 10 Hot-swap 2.5" bays • 2 NVMe w/ AOC opt.